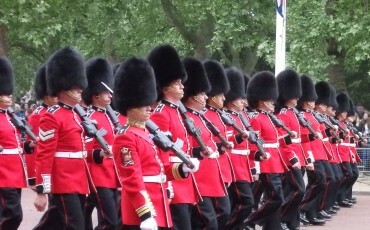 The best way to explore Sherlock Holmes’ London is literally to follow in his footsteps. Sir Arthur Conan Doyle wrote sixty stories starring the great consulting detective which have led to many more film and television adaptations. 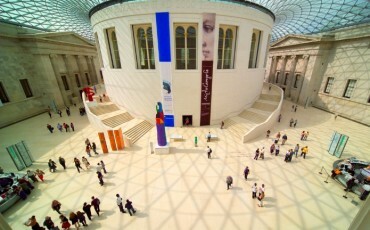 Our visitors may be budding detectives or merely have a passing interest – this tour is for everyone. Baker Street tube station, which has plenty of reminders of the street’s most famous resident. Sherlock Holmes Museum, which charges a fee but entry to its gift shop costs nothing. Number 221B Baker Street, where Holmes shared rooms with Dr. Watson and Mrs. Hudson. This was the starting point for many investigations and our first investigation will be to discover exactly where it was, by no means as easy as it sounds. The location of The Empty House where someone tried to shoot Holmes and thought he had succeeded. We introduce Professor Moriarty, ‘the Napoleon of crime’ and two places where at his instigation Holmes nearly lost his life. This led to their ‘final’ battle at the Reichenbach Falls. If opening hours permit, we may pay a brief visit to the Wallace Collection in Manchester Square and try to discover if Sherlock Holmes really did exist. Certainly, the stories provide clues to his parentage, upbringing, and education. We may also make the pilgrimage over to Smithfields. This quaint part of town features the original meeting place between Dr. Watson and Holmes. 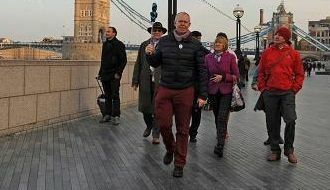 For fans of the more contemporary Benedict Cumberbatch version of Sherlock though, this is where Holmes seemingly jumps to his death at the end of Series 2. 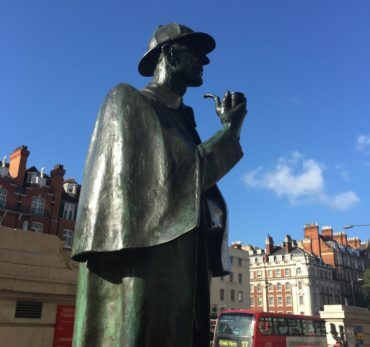 A guided tour of the main Sherlock Holmes sights and locations. 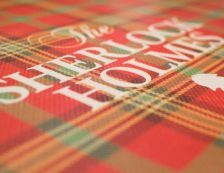 Expert knowledge of the facts and fictions about the world’s most famous detective. Mysteries to solve and conundrums to puzzle over. 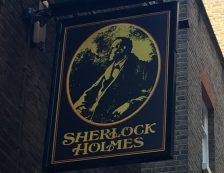 After the tour, you might even want to retire to the Sherlock Holmes pub, near Trafalgar Square, and admire all the Sherlock Holmes memorabilia.